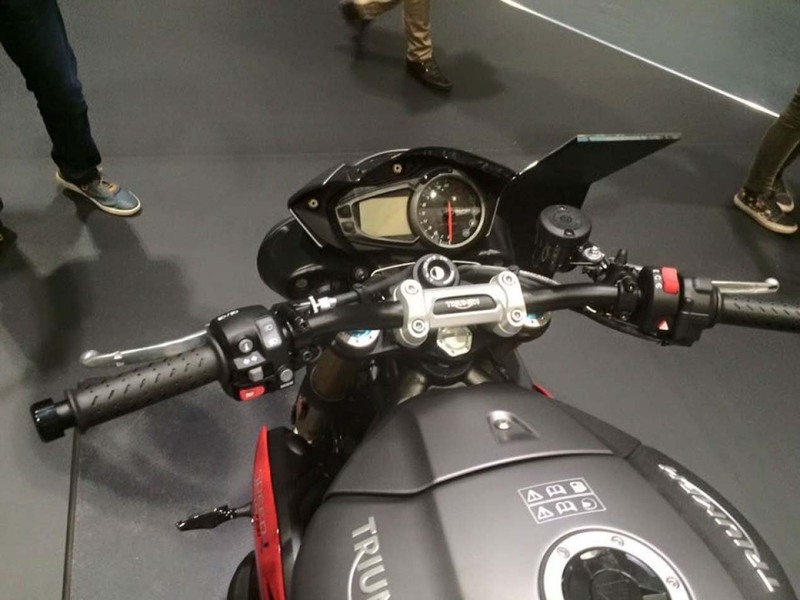 Triumph is set to debut most of its 2016 line on October 28th, but that hasn’t stopped a French dealer from posting photos of the company’s lineup onto the internet. 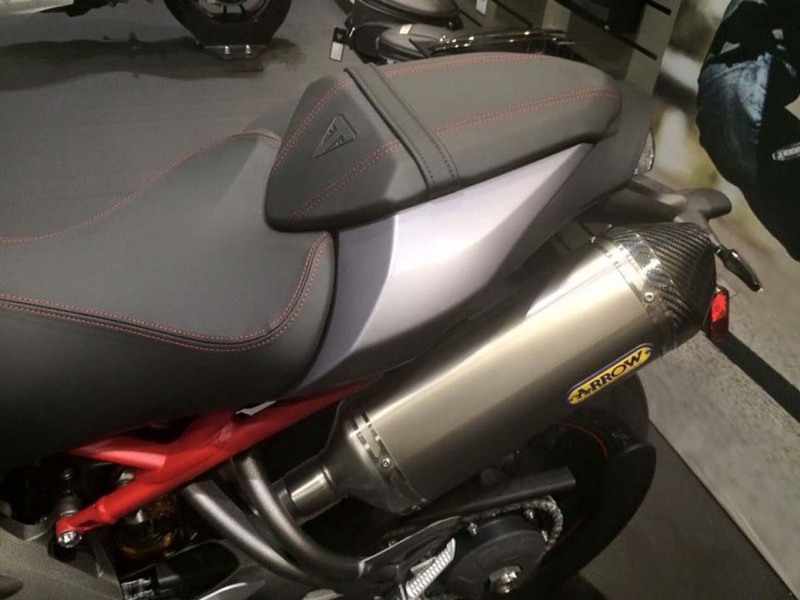 Since we’re not part of the party, and thus handcuffed by an embargo, we thought we would share the photos with you, dear readers. 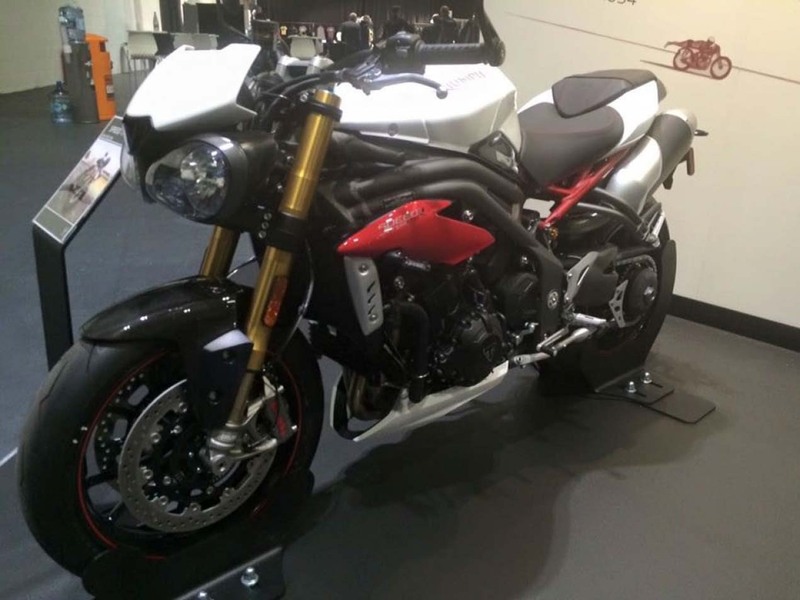 First up is the 2016 Triumph Speed Triple R, which gets a modest face lift for the new model year. 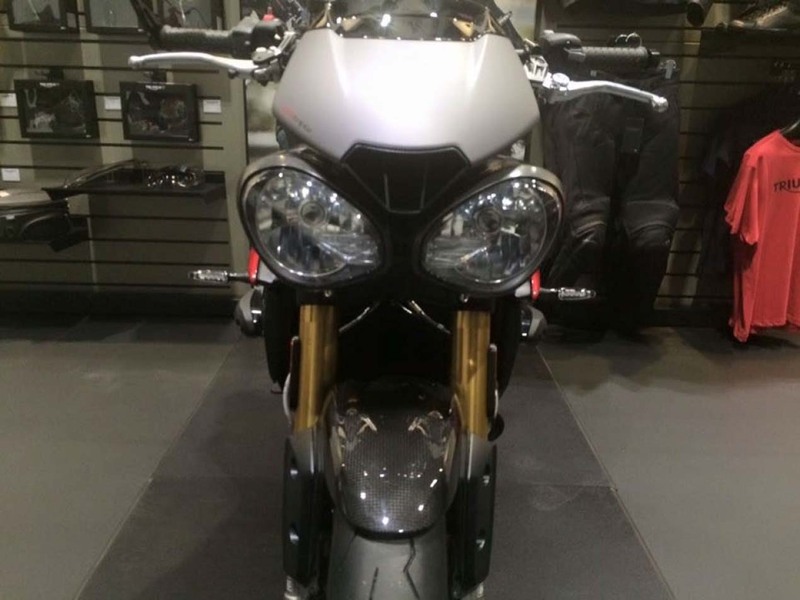 Beyond the reworking of the bodywork, with the most obvious changes done to the face of the machine, the revised Triumph Speed Triple R will be Euro 4 compliant, which means there is likely a reworking to the streetfighter’s three-cylinder engine. 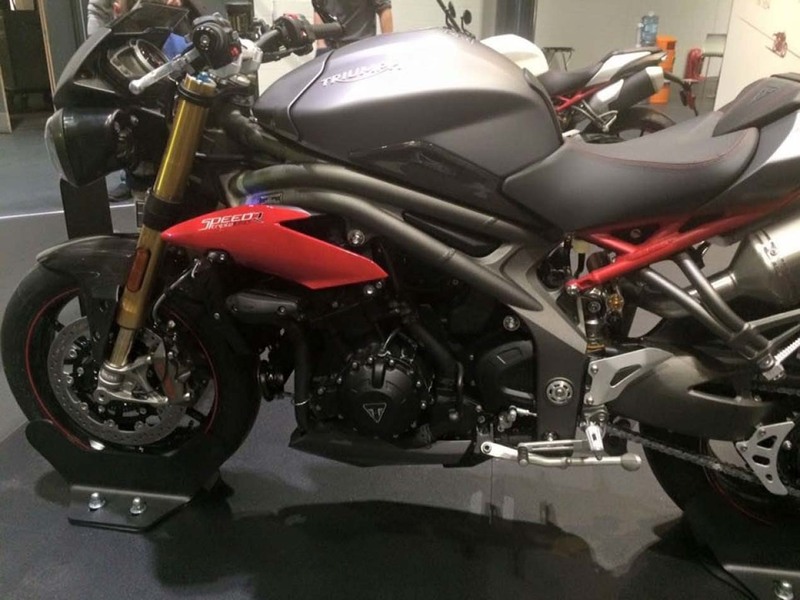 Rumors have the Triumph Speed Triple R coming with 140hp out of the box, with the “R” model getting the obviously higher-spec suspension and wheels over the base model, per usual. 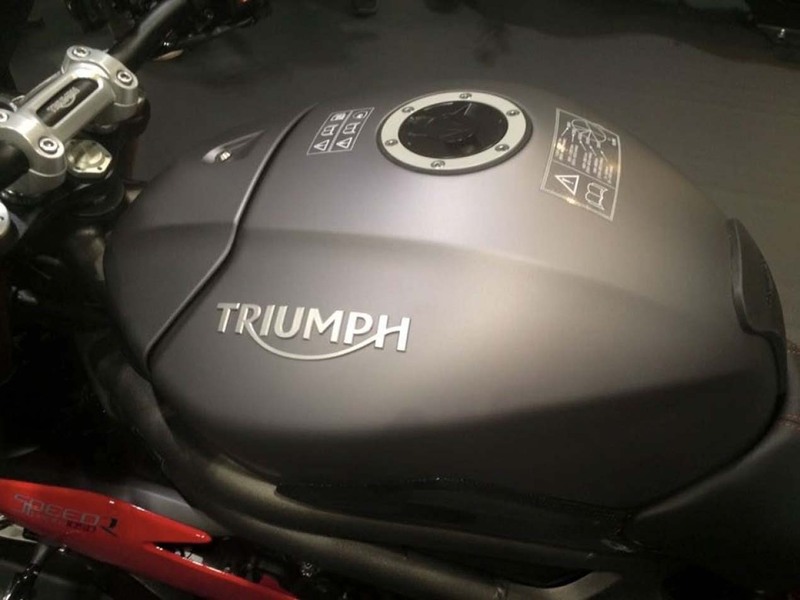 We will have to wait and see what other changes Triumph brings to this fantastic street bike. 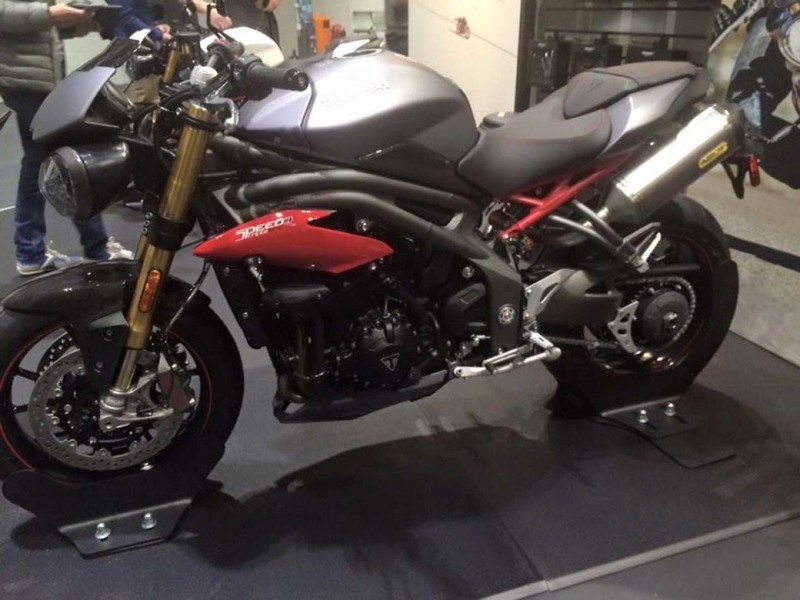 Hopefully they have updated the Speed Triple enough to keep it relevant in this increasingly competitive segment, but hopefully they have also retained what makes the Speed Triple such a joy to ride. More photos after the jump.